I was up at 7 this morning, had my quiet time, fixed breakfast for Mrs. Gray, walked 3 miles on the treadmill, ate a light breakfast, and loaded the car for my trip to Memphis, Tn. I am preaching for my good friend Pastor Jack Bachman who pastors the Calvary Baptist Church. As I left Longview, Texas, I checked my iphone and there was a text message from Pastor Robin Smith who pastors the Fort Worth Baptist Temple of Fort Worth, Texas. He was at a summer camp with his children and he knew I was traveling to Memphis. They were traveling back on I-30 heading home and he asked if we could meet somewhere and have lunch! I told him I would be in Texarkana, Arkansas, at noon. We agreed to meet at the Cracker Barrel Restaurant. We had a great lunch and time of fellowship. His wife went to Heaven a couple of months ago and it has been a difficult thing for them but they are still in the battle for souls. I admire this dad and family more than they will ever know! What a testimony of the grace of God! When I arrived at the Holiday Inn Express I checked in, unloaded the car, unpacked the clothes, set up house keeping, and returned to the foyer to meet Pastor Bachman. 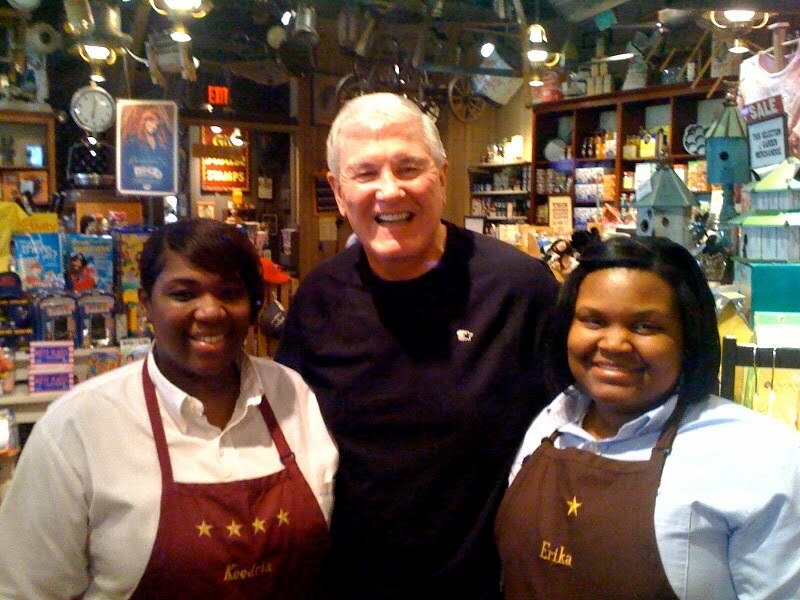 We went to my wife’s favorite place Cracker Barrel. After the meal while the pastor was paying the bill I struck up a conversation with two of the ladies who work there. Keedria Hale and Erika Jackson were very kind to me and I gave them both a Gospel tract from our church. In a few minutes after explaining the Scriptures to them we bowed our heads and they asked Christ to save them. It was thrilling! GOTTA LOVE SOUL WINNING!